The World Cup will be played in England from May 30 to July 14. India plays its opening game against South Africa at the Rose Bowl in Southampton on June 5. 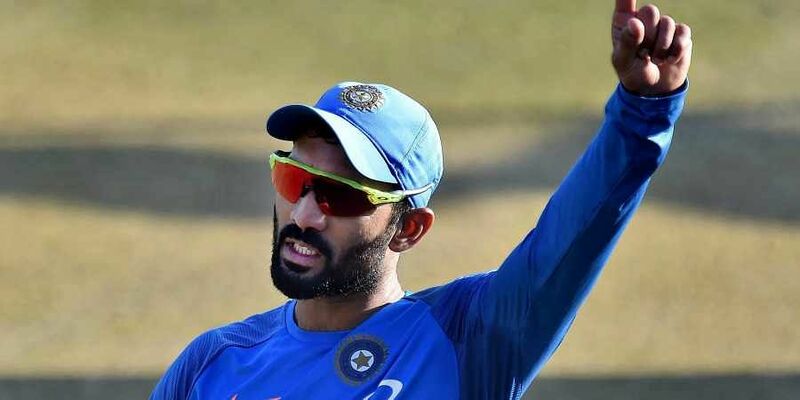 The Indian cricket squad for the 2019 World Cup was announced on Monday, with Dinesh Karthik being picked over Rishabh Pant as the reserve wicket-keeper. The squad was named by the chairman of the national selection committee MSK Prasad in Mumbai. Prasad said the selectors had plumped for Karthik because of his superior wicket-keeping skills. Virat Kohli attended the selection committee meeting at the BCCI headquarters in Mumbai ahead of the announcement. The other members of the selection committee are Devang Gandhi, Jatin Paranjpe, Gagan Khoda and Sharandeep Singh. Interestingly, none of the five selectors has ever been part of a World Cup squad during their playing careers. India and Pakistan are scheduled to clash at Old Trafford in Manchester on June 16. Following the Pulwama attack on February 14, there were demands that India boycott the game against Pakistan but the government is yet to take a decision in this regard. The group stage will have a round-robin format, where all ten teams play each other once, in a single group. The top four teams will progress to the semifinals. With Zimbabwe and Ireland failing to qualify for the tournament, this will be the first World Cup to be contested without all the Test playing nations being present. It will also be the first World Cup to feature no Associate members. Indian squad: Virat Kohli (captain), Rohit Sharma, Shikhar Dhawan, MS Dhoni, Hardik Pandya, Kuldeep Yadav, Yuzvendra Chahal, Jasprit Bumrah, Bhuvneshwar Kumar, Mohammed Shami, Kedar Jadhav, KL Rahul, Vijay Shankar, Dinesh Karthik, Ravindra Jadeja.